Animation of two spherical wave sources creating interference. 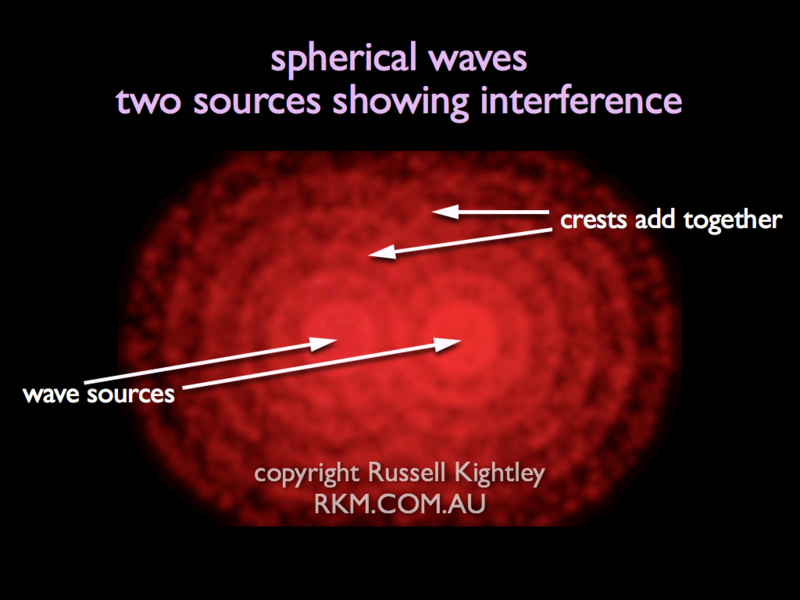 Two sources produce spherical waves that radiate outwards. As the wavefronts expand, they get less dense. When the two waves cross each other they interfere creating a characteristic pattern.